Take your layered necklace look to a new dimension with this understated yet beautiful sterling silver necklace. Crafted with two front chains and a sweet heart closure that sits perfectly between your collarbones, it’s effortlessly stylish. 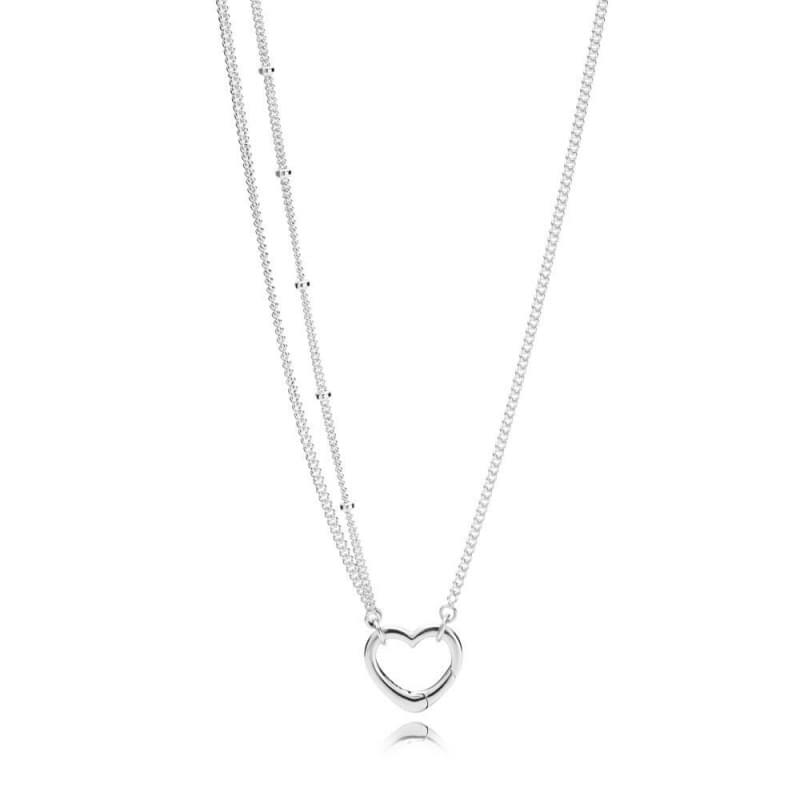 Sterling silver heart necklace with 70 cm chain.